Vice President Yemi Osinbajo on Wednesday revealed that the number of tax- compliant Nigerians increased from 14 million in May 2017 to 19 million this year. Osinbajo, who was the special guest of honour at the 2018 edition of the Chartered Institute of Taxation of Nigeria conference, said that as of December 2017 , only 943 Nigerians paid self – assessed taxes of less than N1 m, reports Nigerian Tribune. “ Earlier, I noted that as of May 2017 , only 14 million economically active Nigerians pay taxes. “ I am pleased to note that the number is now in excess of 19 million and still growing. “ This means that efforts led by the Federal Inland Revenue Service in collaboration with many of the states inland revenue services have already added more than five million new taxpayers to the tax base . The Vice President noted that tax issues were not exciting to anyone but added that it was an argument on whether one should pay taxes or enjoy dividend of governance . According to him, in reality, it should not be debated as compliance and good governance should exist side by side as the head and tail of a social contract that binds citizens and government. 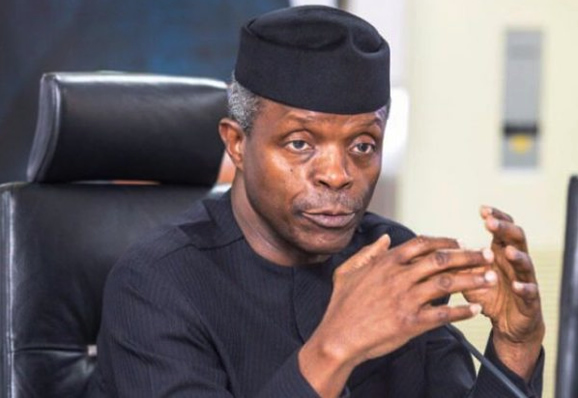 Osinbajo added that the country ’s tax- to – GDP ratio was at six per cent but with the reforms in the tax system , it might rise to 15 per cent in 2020 . He said the administration had taken steps to curtail tax evasion by multi – national companies as well as prevent citizens from hiding their assets abroad .